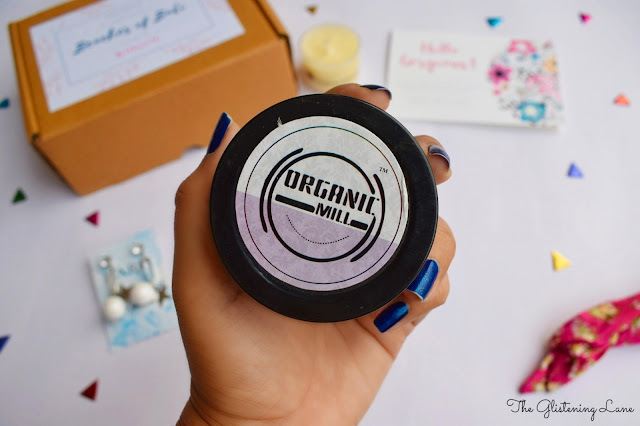 If you are wondering what’s new with this particular subscription box, then I got to tell you that they have this amazing concept that each month they’d ship to you products from a particular travel destination. The September Edition was inspired by Paris while the October Box revolved around the city of Jodhpur. For the month of November, the selected destination is Bali which is regarded as the land of beaches. Bali is known for its traditions, massage, art and of course the much hyped beaches. 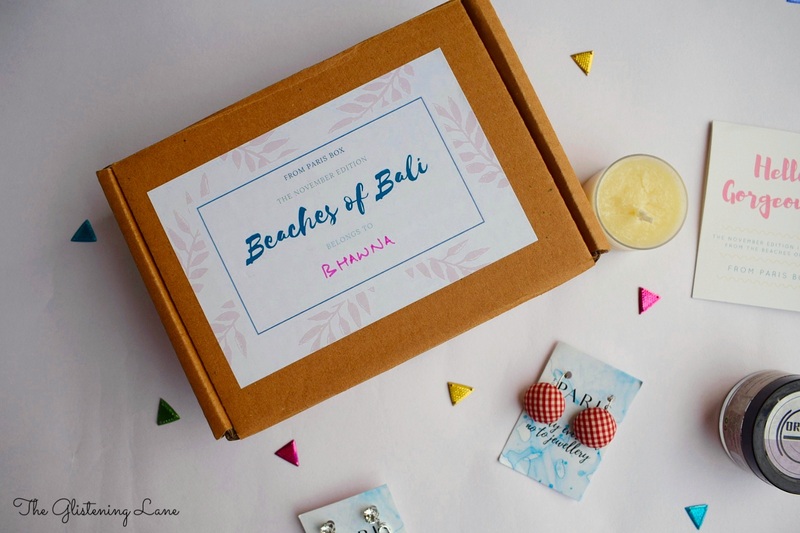 The idea of this month is to capture the essence of Bali through this box. 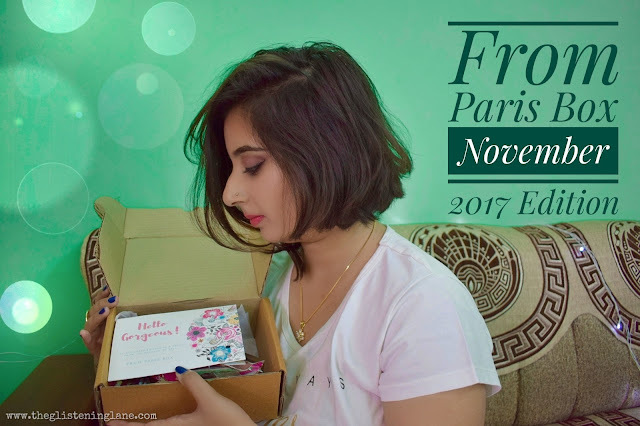 Within the From Paris Box you shall receive 4-5 coveted fashion and lifestyle picks at your doorstep. Each box contains items chosen by our experienced stylists keeping in mind your style statement and the theme of the month. 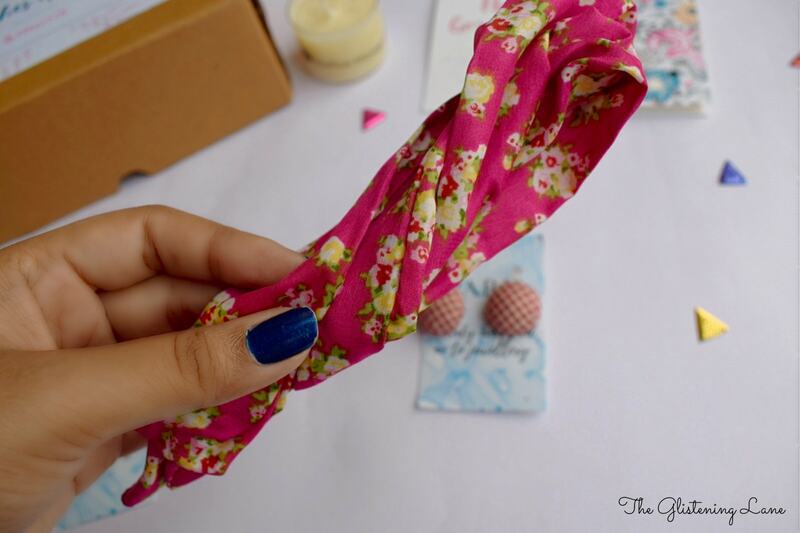 You can expect items such as fashion accessories, bath and body essentials, beauty and lifestyle products. Buy Online: To book yours, click here. They are currently running a special promotion on their 3 month subscription. You can use Coupon Code TRIPLET to get Rs. 200 discount on the 3 month subscription. Without the code you’d get it at INR 1,999 but with the discount you can grab it at INR 1,799. 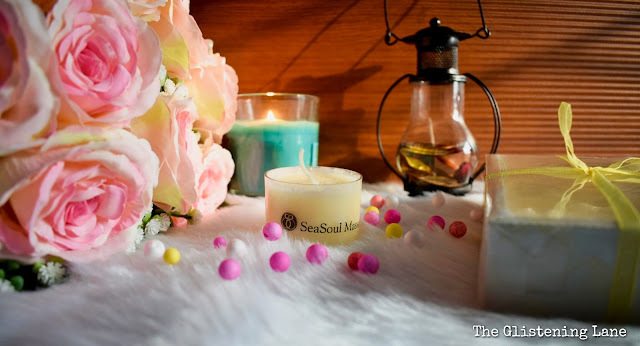 ⏩SeaSoul Body Massage Candle – I’ve heard of such a concept wherein you gotta light the candle and use the melted wax as a body moisturizer/oil. But these weren’t easily available in India and even though they sound super fancy, it comes with a bloated price tag. 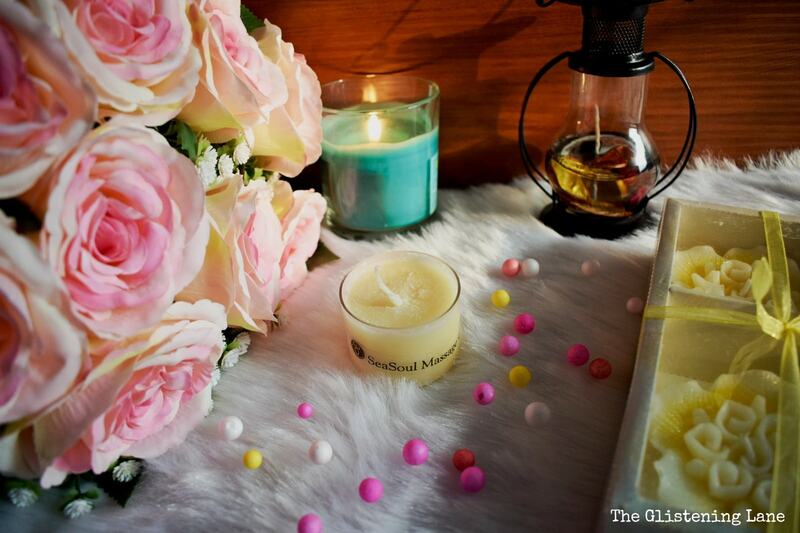 The SeaSoul Body Massage Candle is quite an innovative product which the team of From Paris Box introduced to us. It comes in a plastic container which looks like a glass but I tried to bang it a little onto my working table and it isn’t glass for sure! Stupid tests, huh! 😃 The candle’s wax feels more like solidified Indian Ghee which freezes in winters and you use it via warming it between your fingers. I’m yet to try it. And again something to pamper your weekends! 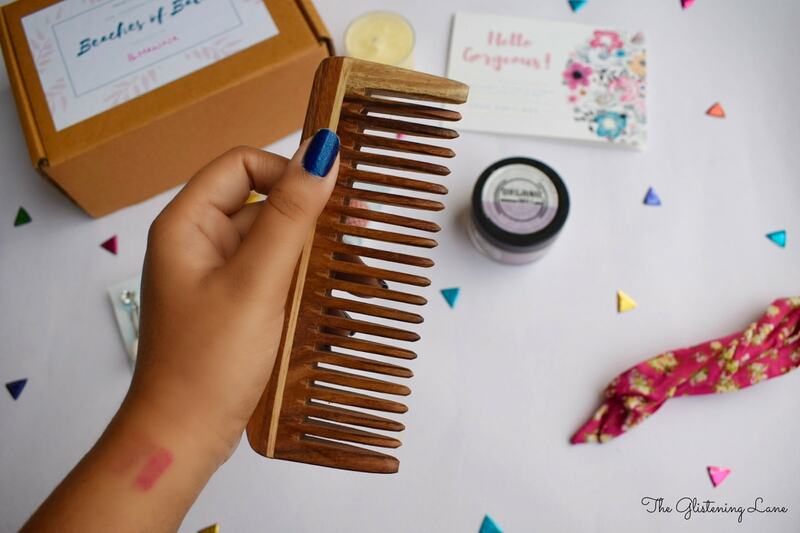 ⏩A Wooden Comb – We all are moving ahead to the winters and frizziness is almost a daily thing which ruins our good hair day. The wooden comb is probably regarded as one of the traditions from Bali but it is also useful in circulation of blood onto the scalp. Wooden comb helps tame your frizz and I did use it once and there’s definitely no doubt that a single swipe through hair strands did its magic on me. I have short hair and I’m not really a comb person but thankfully such fancy combs would get me tempted to comb my hair! 😂 By the way the quality of this one is really good; you’d probably see it frequently in my product photography as well. ⏩Star & Pearl Silver Danglers – I must confess these are truly of good quality but I still cannot see myself wearing these. 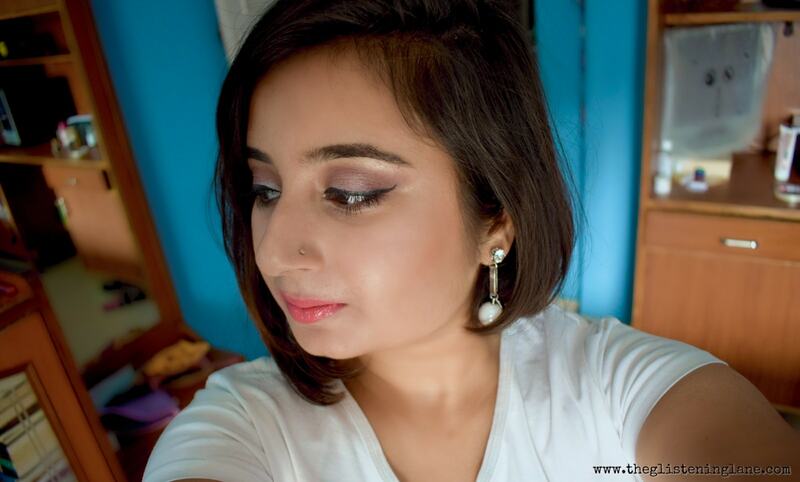 When I was ordering or promoting the product onto Instagram, I saw their website consistently for posted images of tassel jewellery especially earrings. Here again a lot of the people did received one tassel jewellery as they are beach oriented but I got none! For this reason, I feel as if I’ve been deceived. Here again I feel there’s no relevance to the theme that was set by the brand. 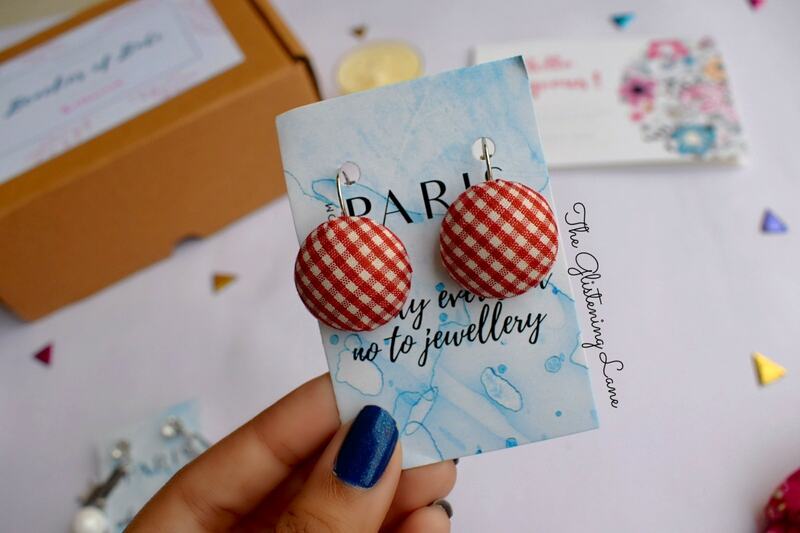 ⏩Plaid Button Earrings – Within the beginning of this post, I did tell you that From Paris Box will send you 4-5 products each month. You must be wondering then how come we have the sixth product here. Well, this one is a surprise gift which has been sent this month to every customer. As much as I’ve seen other Influencers' post about this, almost everyone has got these pair of earrings as an extra accessory item. The thought of bonus product sounds good but I’m not happy again with these earrings as well. The quality of these is simply average and it is definitely not of my preference. Lastly, if the brand has set a theme for that particular month, even the surprise element should have some association to it, which clearly is not the case here. Seems like a pretty vague choice from brand's end. If I weigh my experience of this month, I’d say I’m definitely not happy. Yes, there were some amazing products that brand catered, plus most of the things were of optimum quality but probably the accessories section ruined my potentially amazing experience. It would have been much better if the brand would have given choices within the jewellery segment like CuteBox Subscription Box offers. 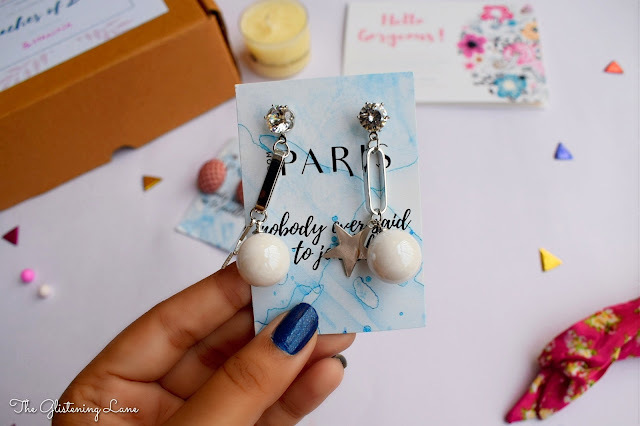 In From Paris Box, the items received aren’t really personalized but I think I would like to try another month of their subscription box before I say I dislike it or love it.